Topics will vary monthly. Some months we will focus on 1 herbs, some months we’ll take a walk and learn about many. The study group will include reading the lesson, doing ‘experiments, discussing further study and advanced work options (that each person will do on their own at home over the course of the month), and ending with group discussion on general topics while enjoying refreshments. Each month we will discuss what was taught/studied the previous month before starting a new lesson. Tonight was all about Echinacea. 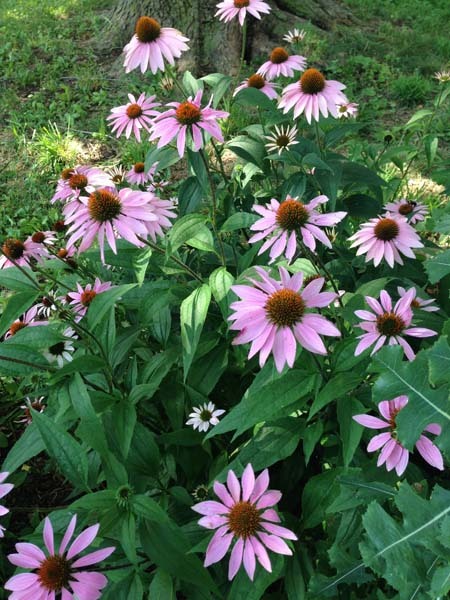 I would like to encourage everyone to grow Echinacea in their garden, not just for his medicine but for the butterflies, finches and the plant himself, who is on United Plant Saver’s “At-Risk” list. Traditionally the root of this beautiful Aster family plant is used but myself and other herbalists have found the flowers and leaves to be just as effective for most uses, if not stronger. To read Echinacea’s monologue, you are welcome to print off a copy of tonight’s hand out. No Class, Jaden turns 10! What do these three plants have in common? They are all great for treating allergies! Learn about the medicinal uses of these 3 plants and how to best utilize them. We’ll have plenty of herbs to make into medicine, please bring your own 4 – 8 oz jar. Prepare now for the cold and flu season. Learn what you can do to proactively prevent the flu from affecting you during the peak season and how to treat it effectively with herbs if you do come down with it. We’ll discuss herbs that are local to our region, vitamin supplements you should not be without (and I don’t say this lightly as I do not often recommend supplements!) and other useful remedies from herbs and foods you can find in your own kitchen. Herbs will be on hand to prepare some of your own herbal remedies. 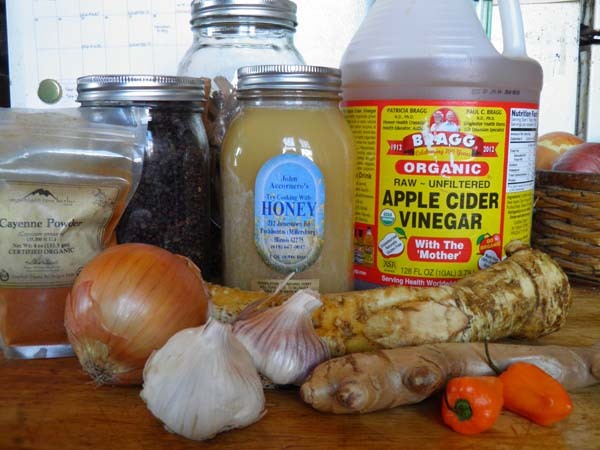 Bring some small jars (4oz) if you have them available for tincture making and quart jars for fire cider making. Alcohol (Everclear) and Apple Cider Vinegar will be available or you may bring your own. You’ll have the opportunity to make some herbal remedies including teas, tinctures and fire cider. Get the fire cider handout here. Purchase the Fire Cider Collection here. Sign up to receive monthly reminders about the study group: To register, go to our Meet Up page. Just the thought of bitters makes some people shudder. One of the most hated flavors in the SAD diet, bitters are essential to good digestion. Bitters are traditionally used this time of year to purge a winter’s worth of heavy eating, in anticipation of the foods of summer, which are often lighter and easier to digest. Though our modern grocery stores offer year round eating of fresh vegetables, we still require bitters in our diet but often find them lacking. We’ve been raised to prefer sweets to bitters and many people will refuse to add them to their diet. During this discussion we’ll discuss the importance of bitters, how we can add them to our diets and how to determine which herbs are considered bitters. My hopes are that after meeting tonight, you will all understand the importance of bitters and seek them out to add to your diet on a daily basis for better digestion, nutrition and more vitality in your life. We will cover a wide range of bitter herbs (complete with a few to sample). Be sure to bring a notepad and pen so that you can take notes. Please note that another group also meets at the Blum House on the same night. We will be in the kitchen. You can enter through the front and walk through to the kitchen or enter from the back and enter the kitchen directly off the porch. We will be heading out behind the garage to harvest plants so if you arrive a bit late and we aren’t there, head out back. Herbs work in many ways. 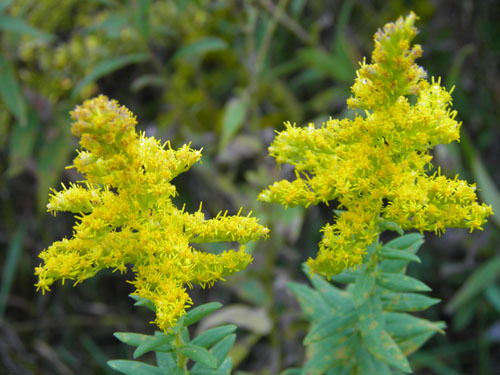 Sometimes we need a fast acting herb to treat an acute situation such as a cut, sore throat or stomachache. Other times, we need herbs that are slower acting, that will work on restoring health. These types of herbs are often referred to as nourishing and restorative herbs or tonics. Nourishing and restorative herbs are generally high in vitamins and minerals and can be used in large quantities on a daily basis. In tonight’s class we will discuss different herbs that fall into these categories, how to prepare them to get the most nourishment and I’ll bring along a few samples for everyone to try. Bring a glass to drink from, a chair to sit in and a notebook to write in. Please note that another group also meets at the Blum House on the same night. We will be behind the Blum House in the circle as long as weather permits. We will be heading out behind the garage to harvest plants so if you arrive a bit late and we aren’t there, head out back. Get the hand out here. Tonight we’ll be focusing on herbs that nourish and calm the nervous system. Nervines are especially important for those who have a lot of stress in their lives. Along with discussing herbs that work for those who are anxious, stressed and tense, we’ll discuss how to view stress and how to cope with it in our daily lives. What are the different types of inflammation? How is it generally treated in conventional medicine and how is that bad? How is it treated with herbs and diet and how is that good? Tonight we’ll dive into the world of inflammation and learn how to heal through herbs, diet and lifestyle choices. Tonight we’ll be talking antispasmodics for both internal and external use. We’ll talk about different types of spasms and the most effective way to treat them. 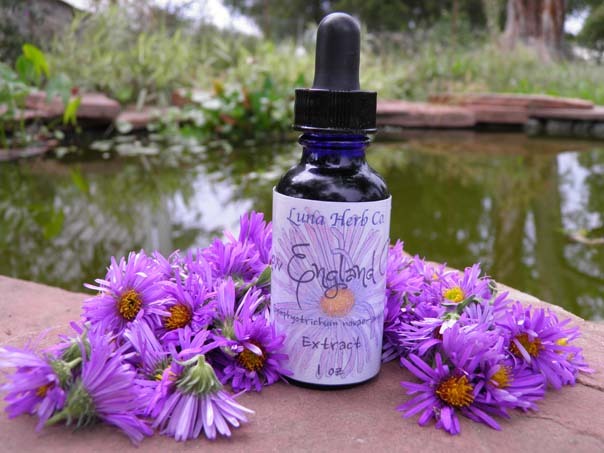 I’ll bring a variety of herbal remedies to give you a hands-on learning experience. This month is all about herbal vulneraries. What are vulneraries, how can they be used and what are the benefits over using OTC vulneraries will be covered and much more in this one hour informative class. Participants will receive a handout on the subject and be able to sample a variety of herbal remedies. This will be the last class of the year here at the Blum House since November and December fall right at the holiday season. This month we’ll be talking all about herbal immune stimulants and modulators. What’s the difference between the two and how are they useful this time of year in particular? We’ll discuss this and more. As usual, participants will get to sniff and sample herbal concoctions while we discuss the uses and differences. Due to the lack of light in the evening, we’ll be meeting inside, near the front entrance. 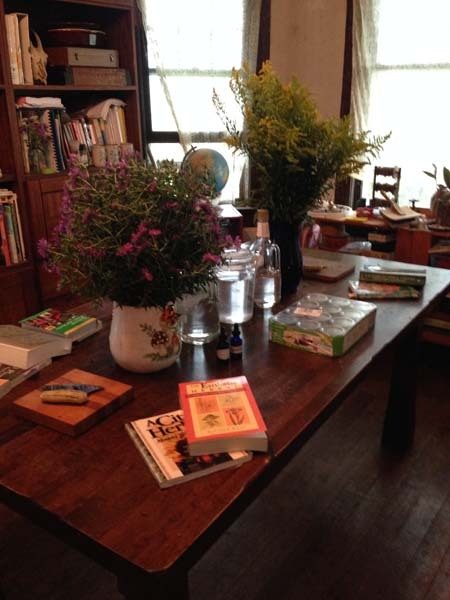 We have the house to ourselves this evening as the book club will be meeting next week! Since this is our last meeting of the year, I thought it might be fun to do a small potluck. If you’d like to join in, bring a healthy dish, a cup and a plate to eat on and I’ll provide some herbal treats. If there are topics you’d like me to discuss next year, please let me know! With a new year brings new possibilities. Some members have expressed interest in doing a plant and seed exchange, I will facilitate this to happen sometime in the early new year, maybe in February or March. I’d like to propose a herbal remedy swap as well, to encourage everyone to practice making their own medicines and to discover new herbal medicines as well. We’ll discuss this more at the next meet-up as well. This entry was posted on Monday, November 17th, 2014 at 5:12 pm	and is filed under . You can follow any responses to this entry through the RSS 2.0 feed. You can leave a response, or trackback from your own site.